I’ve got a penchant for islands. Separated from the main land and cloistered, islands speak of isolation, serenity, and rustic luxury. 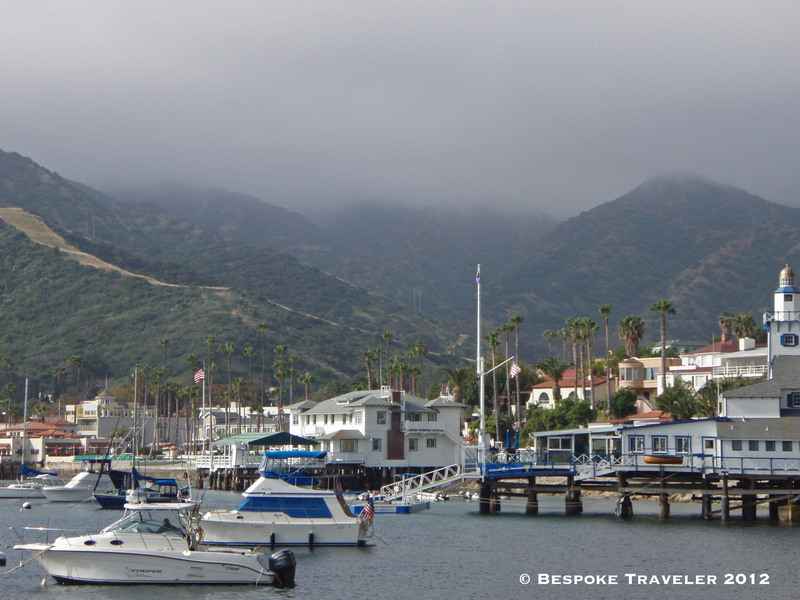 Catalina Island, off the coast of California in the United States personifies for me bucolic indulgence from its yacht thronged harbor to its Art Deco theater hall. It still has the feel of a recluse Tom and Daisy Buchanan might have frequented if they lived on the West Coast. Whether I’m renting a yacht to explore the island offshore, or renting a golf cart to ride around the inner parts of the island, I feel I’m partaking in the glamorous details of Catalina vacation life. Even the ambience of the Wrigley Memorial Garden evokes a feeling of yesteryear in its sun-baked gardens full of enchanting cacti. Catalina is not a tropical paradise or a Caribbean getaway, its luxury is less exotic than these places. This island oozes Gatsby-era glamour. Perhaps it’s the many years the island was owned by millionaires like chewing gum magnate William Wrigley, Junior. 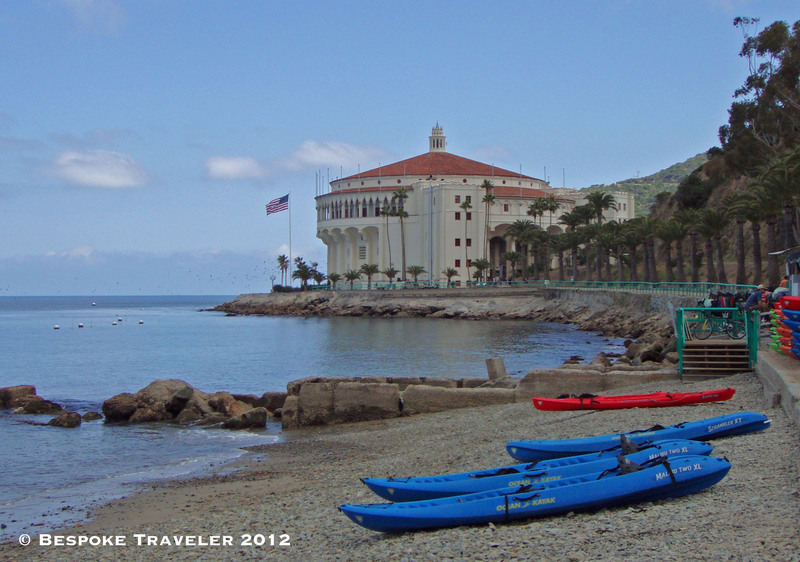 Perhaps it’s Catalina’s history as a resort location for tinsel town heavyweights like Marilyn Monroe. There’s definitely unspoiled wildlife framed by ruggedly barren hills not far from the crowded beaches and main towns like Avalon, but these natural spectacles merely add to Catalina’s silver screen persona. Catalina island remains for me a mixture of ritzy and cosmetic that is both attractive and puzzling. Standing on the shore, surrounded by wealthy sailboats gently rocking as the sun sets, I can imagine the green lights of southern California winking understandingly back at me. It definitely is. Catalina has a timeless quality of relaxation. Cheers. You should consider putting it on your travel list for your next visit to SoCal. Cheers. So funny- I saw the photo and thought “that looks familiar”. Another of those places briefly visited on our California trip- too short by far. Travel is usually too short no matter where I go. California really does have some spectacular spots from the desert to the mountains to the shore. Catalina Island was a fun visit for me as well although also very brief. There is something fascinating about islands. I love water settings, so what could be better than being surrounded by water. I totally agree. Islands for me give that sense of getting away from the chaos, at least for a little while. And the view is typically not half bad. Cheers.